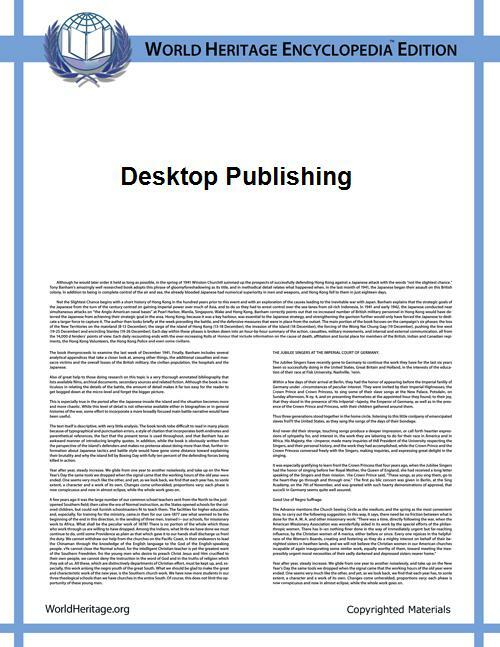 Desktop publishing (abbreviated DTP) is the creation of documents using digital typography. When used skillfully, desktop publishing allows the user to produce a wide variety of materials, from menus to magazines and books, without the expense of commercial printing. Desktop publishing began in 1983 with a program developed by James Bessen at a community newspaper in Philadelphia. That program, Type Processor One, ran on a PC using a graphics card for a WYSIWYG display and was offered commercially by Best info in 1984. (Desktop typesetting, with only limited page makeup facilities, had arrived in 1978–9 with the introduction of TeX, and was extended in the early 1980s by LaTeX.) The DTP market exploded in 1985 with the introduction in January of the Apple LaserWriter printer, and later in July with the introduction of PageMaker software from Aldus which rapidly became the DTP industry standard software. The term "desktop publishing" is attributed to Aldus Corporation founder Paul Brainerd, who sought a marketing catch-phrase to describe the small size and relative affordability of this suite of products in contrast to the expensive commercial phototypesetting equipment of the day. By the standards of today, early desktop publishing was a primitive affair. Users of the PageMaker-LaserWriter-Macintosh 512K system endured frequent software crashes, cramped display on the Mac's tiny 512 x 342 1-bit monochrome screen, the inability to control letter-spacing, kerning (the addition or removal of space between individual characters in a piece of typeset text to improve its appearance or alter its fit) and other typographic features, and discrepancies between the screen display and printed output. However, it was a revolutionary combination at the time, and was received with considerable acclaim. Behind-the-scenes technologies developed by Adobe Systems set the foundation for professional desktop publishing applications. The LaserWriter and LaserWriter Plus printers included high quality, scalable Adobe PostScript fonts built into their ROM memory. The LaserWriter's PostScript capability allowed publication designers to proof files on a local printer then print the same file at DTP service bureaus using optical resolution 600+ ppi PostScript printers such as those from Linotronic. Later, the Macintosh II was released which was much more suitable for desktop publishing because of its greater expandability, support for large color multi-monitor displays, and its SCSI storage interface which allowed fast high-capacity hard drives to be attached to the system. Although Macintosh-based systems would continue to dominate the market, in 1986, the GEM-based Ventura Publisher was introduced for MS-DOS computers. 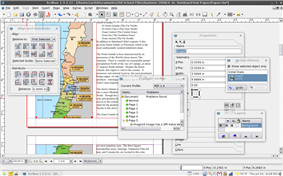 While PageMaker's pasteboard metaphor closely simulated the process of creating layouts manually, Ventura Publisher automated the layout process through its use of tags/style sheets and automatically generated indices and other body matter. This made it suitable for manuals and other long-format documents. Desktop publishing moved into the home market in 1986 with Professional Page for the Amiga, Publishing Partner (now PageStream) for the Atari ST, GST's Timeworks Publisher on the PC and Atari ST and Calamus for the Atari TT030. Even for 8-bit computers like the Apple II and Commodore 64 software was published: Home Publisher, The Newsroom and geoPublish. During its early years, desktop publishing acquired a bad reputation as a result of untrained users who created poorly organized ransom note effect layouts — similar criticism would be levied again against early World Wide Web publishers a decade later. However, some were able to realize truly professional results. Once considered a primary skill, increased accessibility to more user-friendly DTP software has made DTP a secondary skill to art direction, graphic design, multimedia development, marketing communications, and administrative careers. DTP skill levels range from what may be learned in a few hours (e.g. learning how to put clip art in a word processor) to what requires a college education. The discipline of DTP skills range from technical skills such as prepress production and programming to creative skills such as communication design and graphic image development. There are two types of pages in desktop publishing, electronic pages and virtual paper pages to be printed on physical paper pages. All computerized documents are technically electronic, which are limited in size only by computer memory or computer data storage space. Master pages are templates used to automatically copy or link elements and graphic design styles to some or all the pages of a multipage document. Linked elements can be modified without having to change each instance of an element on pages that use the same element. Master pages can also be used to apply graphic design styles to automatic page numbering. Cascading Style Sheets can provide the same global formatting functions for web pages that master pages provide for virtual paper pages. In modern usage, DTP is not generally said to include tools such as TeX or troff, though both can easily be used on a modern desktop system and are standard with many Unix-like operating systems and readily available for other systems. The key difference between electronic typesetting software and DTP software is that DTP software is generally interactive and WYSIWYG in design, while other electronic typesetting software, such as TeX, LaTeX and other variants, tends to operate in batch mode, requiring the user to enter the processing program's markup language without immediate visualization of the finished product. This kind of workflow is less user-friendly than WYSIWYG, but more suitable for conference proceedings and scholarly articles as well as corporate newsletters or other applications where consistent, automated layout is important. Recent interactive front-ends to TeX such as LyX have produced WYSIWYM (what you see is what you mean) hybrids of DTP and batch processing, focussed more on semantics than traditional DTP. ^ "What You See Is Pretty Close to What You Get: New h&j, pagination program for IBM PC," Seybold Report on Publishing Systems, 13(10), February 13, 1984, pp. 21-2. ^ "Type-X '85: Fulfilling the Promise of the PC," Seybold Report on Publishing Systems, 15(2) pp. 4-5. ^ Thompson, Keith (8 June 1987). "MacIntosh Layout Package Remarkably Fast, Powerful". InfoWorld 9 (23): 51. Retrieved 2011-04-15.